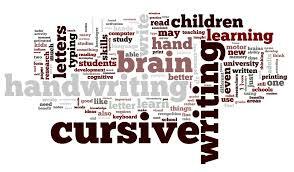 Once all but left for dead, is cursive handwriting making a comeback? The most important aspect of the Makers movement is not technology — and learning about technology is not limited to coding. It is the wide range of people, young and old, who are developing their talents and discovering new ways to solve interesting, everyday problems. Not only does this allow them to express creative freedom, it teaches the foundational skills for the jobs of the future — jobs that will require more agility and creativity.